Transportation experts dispute the arguments, contained in a draft of the administration’s proposals prepared this summer, excerpts of which were obtained by The Associated Press. The excerpts also show the administration plans to challenge California’s long-standing authority to enact its own, tougher pollution and fuel standards. Revisions to the mileage requirements for 2021 through 2026 are being worked on, the administration says, and changes could be made before the proposal is released as soon as this week. At a Senate committee hearing Aug. 1, Sen. Ed Markey (D-Mass.) said oil companies would be the only clear beneficiaries of a freeze in mileage standards. “This rollback of fuel economy standards is really all about petroleum,” he said. Andrew Wheeler, the acting administrator of the Environmental Protection Agency, acknowledged that freezing mileage requirements would raise oil consumption but cited the administration’s arguments of greater safety. Overall, “improvements over time have better longer-term effects simply by not alienating consumers, as compared to great leaps forward” in fuel efficiency and other technology, the administration argues. It contends that freezing the mileage requirements at 2020 levels would save up to 1,000 lives per year. New vehicles would be cheaper — and heavier — if they don’t have to meet more stringent fuel requirements and more people would buy them, the draft says, and that would put more drivers in safer, newer vehicles that pollute less. David Zuby, chief research officer at the Insurance Institute for Highway Safety, said he’s doubtful about the administration’s estimate of lives saved because other factors could affect traffic deaths, such as automakers agreeing to make automatic emergency braking standard on all models before 2022. “They’re making assumptions about stuff that may or may not be the same,” he said. Experts say the logic that heavier vehicles are safer doesn’t hold up because lighter, newer vehicles perform as well or better than older, heavier versions in crash tests, and because the weight difference between the Obama and Trump requirements would be minimal. Alan Taub, professor of materials science and engineering at the University of Michigan, said he would choose a 2017 Malibu over a heavier one from 20 years earlier, noting that the newer vehicle is engineered better, has more features to avoid crashes and is equipped with additional air bags. “You want to be in the newer vehicle,” he said. 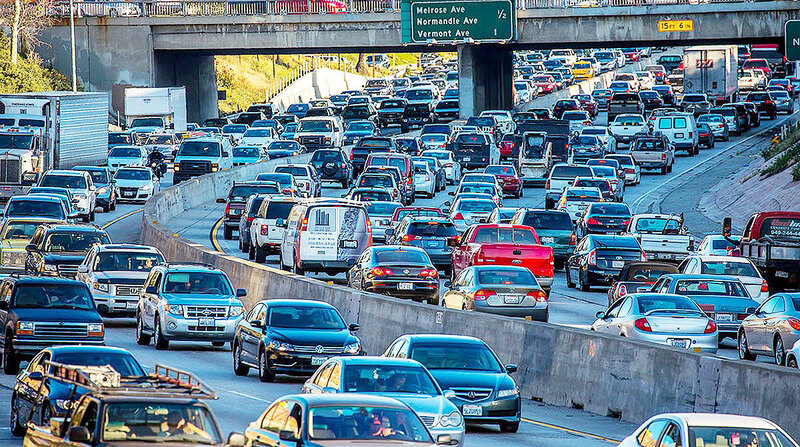 Under the Trump administration proposal, the fleet of new vehicles would have to average about 30 mpg in real-world driving, and that wouldn’t change through 2026. California has had the authority under the half-century-old Clean Air Act to set its own mileage under a special rule allowing the state to curb its chronic smog problem. More than a dozen states follow California’s standards, amounting to about 40% of the country’s new-vehicle market. Asked if he thinks a freeze in U.S. mileage standards is warranted, Wheeler — the EPA acting head — told a small group of reporters at EPA headquarters last week, “I think we need to go where the technology takes us” on fuel standards. Wheeler did not elaborate. Agency representatives did not respond when asked specifically if the EPA acting chief was making the case that modern cars could be both fuel efficient and safe. Wheeler also spoke out for what he called “a 50-state solution” that would keep the U.S car and truck market from splitting between two different mileage standards. The Department of Transportation said in a statement that the final fuel economy standards would be based on sound science. The department cautioned that a draft doesn’t capture the whole picture of the proposed regulation. The draft said a 2012 analysis of fuel economy standards under the Obama administration deliberately limited the amount of mass reduction necessary under the standards. This was done “in order to avoid the appearance of adverse safety effects,” the draft stated.